Athens, Ga. – From spectator injuries at baseball games to invasive garlic mustard plants in forested areas, more than 550 University of Georgia undergraduates are gearing up to share their research findings at the annual CURO Symposium April 3-4 at the Classic Center in downtown Athens. The 554 participants-presenting either as individuals and/or groups-mark a new high for the event hosted by the Center for Undergraduate Research Opportunities and eclipse last year’s record-breaking total by 146 students. The volume of undergraduates isn’t the only number of note. This year marks the first that non-Honors Program students make up more than half of participants with 53 percent of the total. CURO, administered by the Honors Program, was expanded to all undergraduates in 2010. The Symposium opens April 3 at 11:15 a.m. and includes 224 presentations and 290 posters. Michael Terns, Distinguished Research Professor in the Franklin College of Arts and Sciences’ biochemistry and molecular biology department, will deliver the keynote address on “CRISPR: From Basic Biology to Genome Editing Revolution” at 3:30 p.m. in Ballroom E. The poster session and reception will follow at 4:30 p.m. Oral presentations will continue April 4 at 9:30 a.m. with the last session ending at 4:45 p.m.
Sydney-Alyce Bourget, a junior majoring in ecology, traveled to Massachusetts last summer to study garlic mustard, an invasive plant thriving at the edges of Harvard Forest. This is her second year presenting at the CURO Symposium. Zack Flagel, a junior majoring in economics, is currently in his second semester studying abroad at the London School of Economics. He is returning to the U.S. during his spring break to present a legal analysis of spectator injury risk at Major League Baseball games. As well as its annual Symposium, CURO offers coursework, support staff and information sessions on how to begin conducting research. 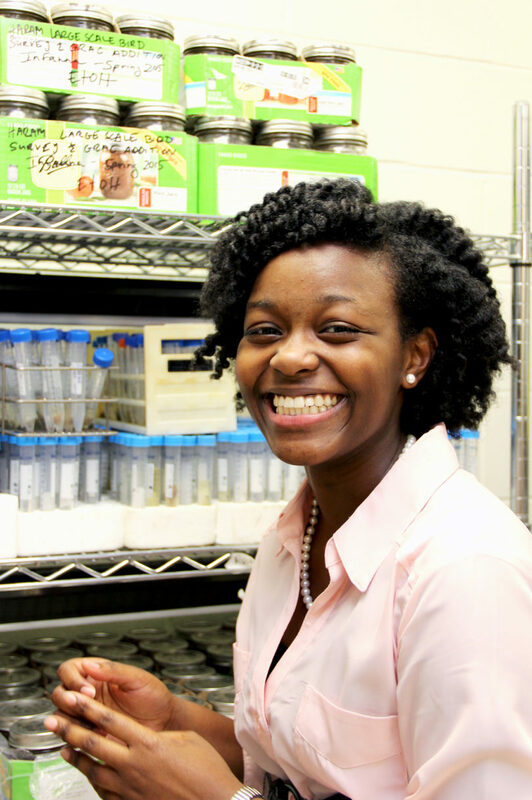 In addition to $3,000 summer fellowship grants, students can apply for the CURO Research Assistantship, which provides $1,000 stipends to 500 undergraduates each year. Research through CURO fulfills the university’s newly implemented experiential learning requirement. For more information, visit curo.uga.edu/symposium.